NY Magazine is reporting that Moonrise Kingdom, the highly anticipated film by director Wes Anderson, will be opening the Cannes Film Festival on May 16. The poster for the film has been recently released (seen above), and the trailer is attached below. Anderson tends to include actors from his previous films in current projects, and has done so again hiring Jason Schwartzman (Rushmore, The Darjeeling Limited, and Fantastic Mr. Fox) and Bill Murray (Rushmore, The Royal Tenenbaums, Life Aquatic with Steve Zissou, The Darjeeling Limited, and Fantastic Mr. Fox) for starring roles. 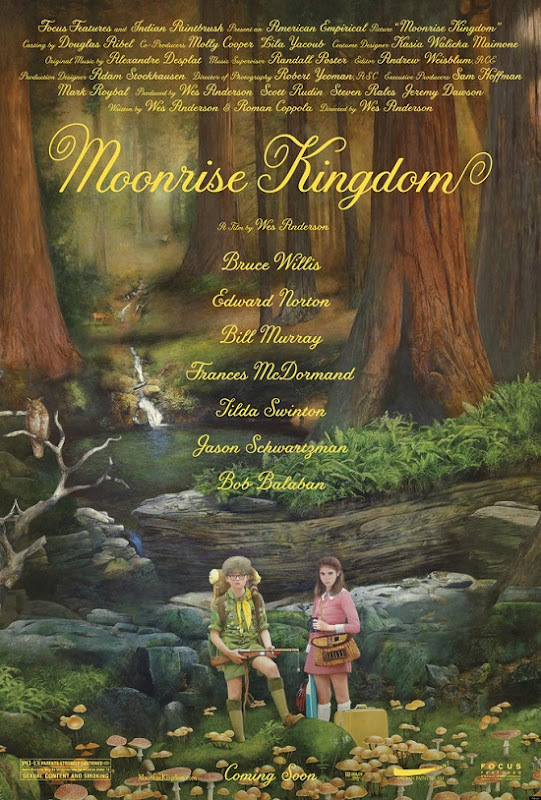 Moonrise Kingdom is due out in theaters May 25.